Day 1: USA - Ljubljana. Transatlantic flight to Ljubljana (capital of Slovenia). Dinner and breakfast will be served on board. Day 2: Ljubljana - Portoroz. Arrival, greetings from our representative and transfer to the hotel Grand Palace in Portoroz called by many “the port of roses”, Slovenia’s most popular seaside resort. Known in the 13th century as a place of healing, Portoroz attracts a large number of European tourists seeking the mild Mediterranean climate all year round. Afternoon is free to explore this beautiful city, swim in the hotel pool or relax. In the evening welcome reception and dinner. Day 3: Portoroz - Piran. After breakfast excursion by private boat at Portoroz harbor and cruise along the colorful Adriatic coast to Piran, picturesque artist village with old stone houses, narrow streets, and sidewalk restaurants. 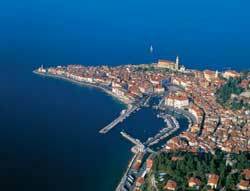 Piran has managed to keep its idyllic identity and thus it remains the most precious preserved old town in Slovenia. 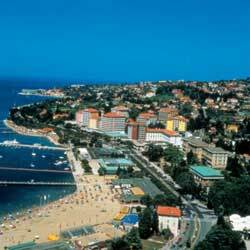 Afternoon is free to explore Portoroz on your own or visit casino. Dinner at the hotel. Day 4: Portoroz  (Venice). Today is a free to explore more of the region’s scenic beauty on your own. Stroll along seaside promenade with coffee bars, outdoor seating restaurants where the beautiful harbor scenery, or take an optional full day excursion to Venice. Enjoy a guided walking tour of St. Mark’s Square, with stroll to the famous Rialto Bridge. Also, you’ll have free time to explore Venice on your own before return late afternoon to Portoroz. Airport transfers for passengers on UWT. Accommodations in 4 and 5 star hotels. Buffet breakfast and dinner daily. Sightseeing tours as per itinerary. All local taxes, entrance fees and service charges. Service of the local guides. Day 5: Portoroz  Postojna Caves  Lake Bled. Today you’ll leave Portoroz, riding through the karst lands, whose unusual appearance is the result of the underground caves and limestone. 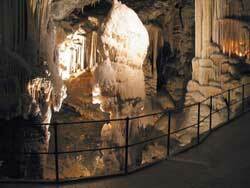 On route to Lake Bled you’ll stop at the Postojna Caves. 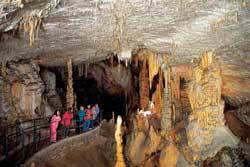 Here you’ll walk and ride a narrow open train into the caves themselves to gaze at their stalagmites and stalactites, as well as their subterranean waters. Afterwards, visit the Postojna Caves and you’ll continue the ride through Slovenia country side to Lake Bled, followed by an orientation walk. Accommodation and dinner at the hotel Park. After breakfast take a walking tour of this sparkling alpine lake nestled against the Triglav “three head” the highest mountain in the Julian Alps. During your stay one must take a local “plenta” boat ride to the romantic little island with the lovely church and the famous wishing bell. 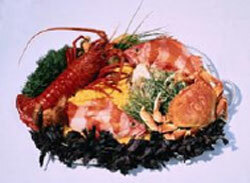 On the island you’ll find an excellent restaurant, souvenir shop and a well known ice cream parlor. Or visit Bled Castle for spectacular lakeside views and to see its fine collection of tapestries, furniture and paintings. Day 7: Lake Bled  Ljubljana. 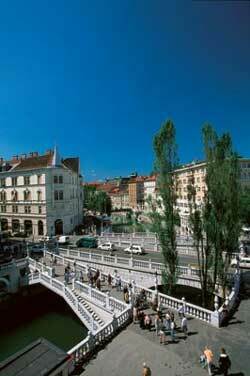 This morning tour nearby Ljubljana, Slovenia’s pleasant capital. 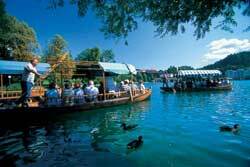 A friendly place, Ljubljana is proud of its rich heritage, Baroque and Secessionist architecture, museums, galleries, and antique shops. You’ll also have free time to explore this charming town on your own. Tonight, enjoy a taste of local specialties and music at Farewell Dinner. 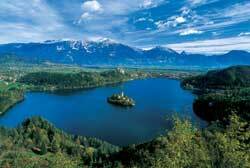 Day 8: Lake Bled- USA. Unique World Cruises. All rights reserved.